In stock 67 items in stock. 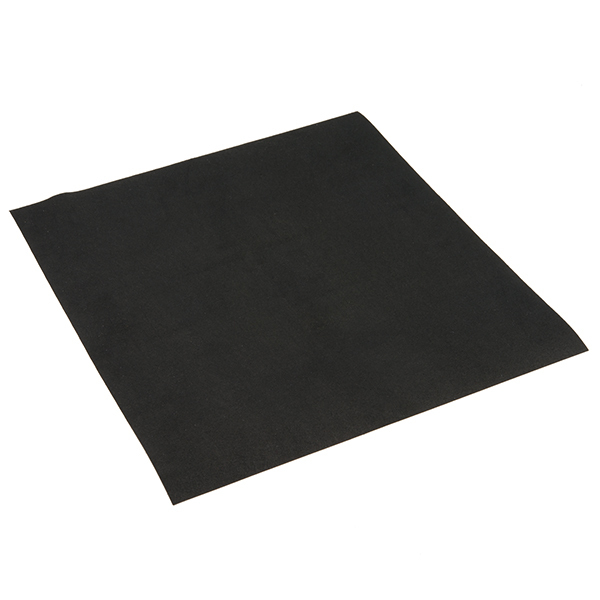 This EeonTex fabric is a conductive, nonwoven microfiber for use in e-textiles as well as electromagnetic and resistive heating applications. 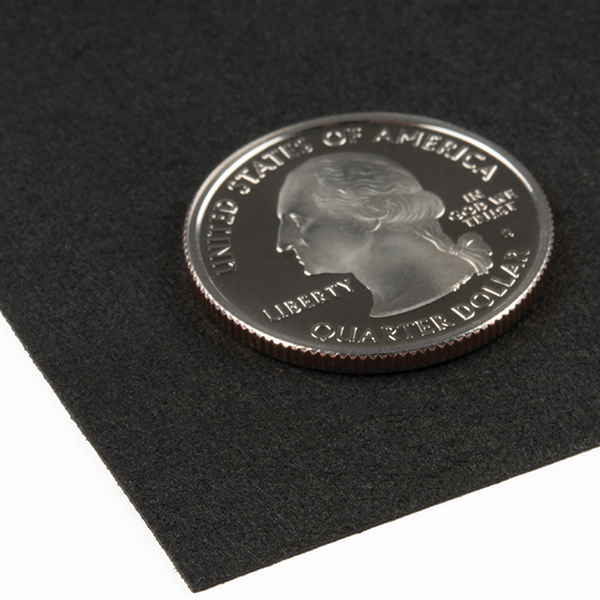 Each sheet of the EeonTex Conductive Fabric is pre-cut into 12 inch by 13 inch sheets about 0.8mm thick. This fabric is very versatile and perfect for anyone interested in wearables and e-textiles. 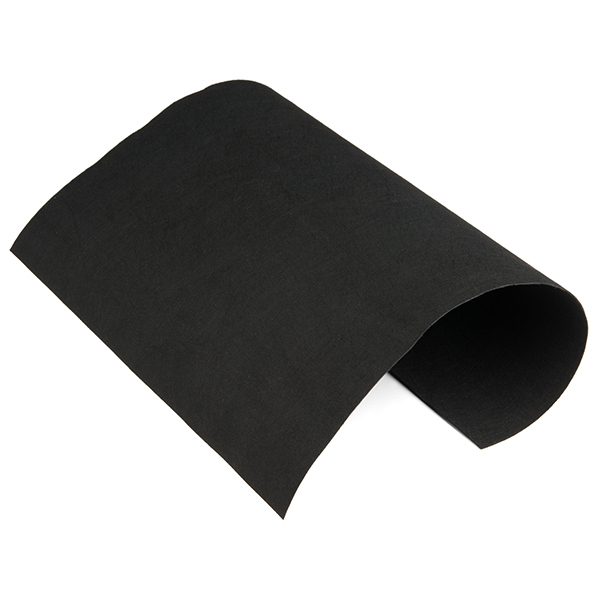 EeonTex Conductive Fabric is highly conductive with a tunable surface resistivity of 8 Ohm/sq to 105 Ohm/sq. Additionally, it is extremely durable with a tensile strength of >450N and a tear resistance of 12N. How will this fabric react to or in water? From a quick google search I found quotes like: "Practically insoluble in water and concentrated acids", so can this be in or near water? It looks interesting. It could be used to make a glove for the hand of a robot who will take an egg without squeezing it too hard and without letting it drop down. I don't know if the fabric will held its properties when it is cut. I don't know what voltage is required and if a tiny battery will be good enough. I also imagine a target for armless arrows made of several concentric circles cut in that fabric, each one connected to an arduino, which will show which rim has been hit.